Bacon and Sausage everywhere!! After the processing of the pigs, it is always bacon and sausage time. With each of the 8 bellies weighing about 9 lbs and about 100 lbs of ground pork, we were in for a busy weekend. 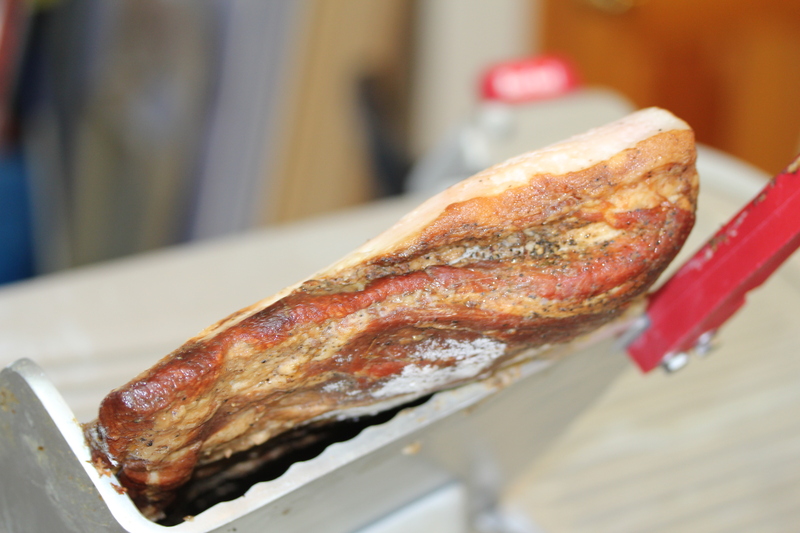 We started by curing the bellies with a traditional salt, sugar, molasses and herb dry rub for 7 days. On day 3 of the cure, we drained the liquid that had been purged and re-rubbed with more cure. Using salt as a cure allows us to NOT use pink salt ( sodium nitrite/nitrate). After day 7, we smoked the bacon with apple, pecan and cherry wood and froze the whole bellies and were ready to slice! 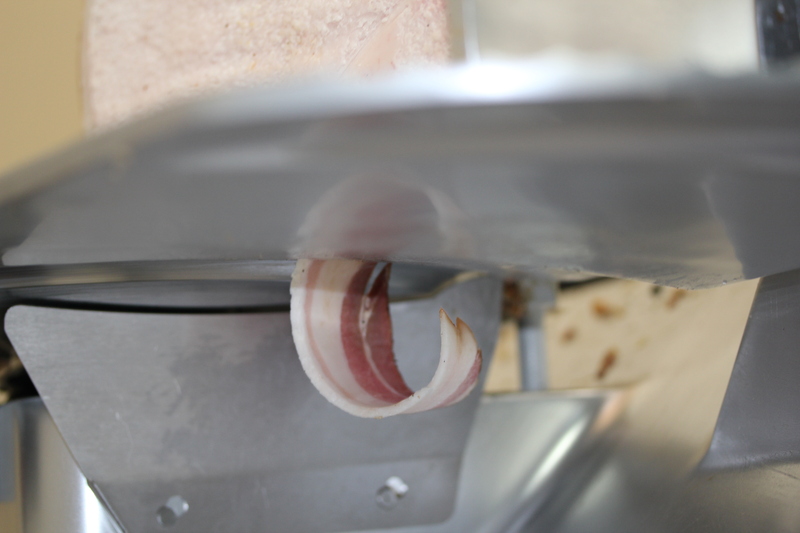 Once it was frozen, we sliced and packaged the bacon…maybe we ate a bit too. I’ll never tell! 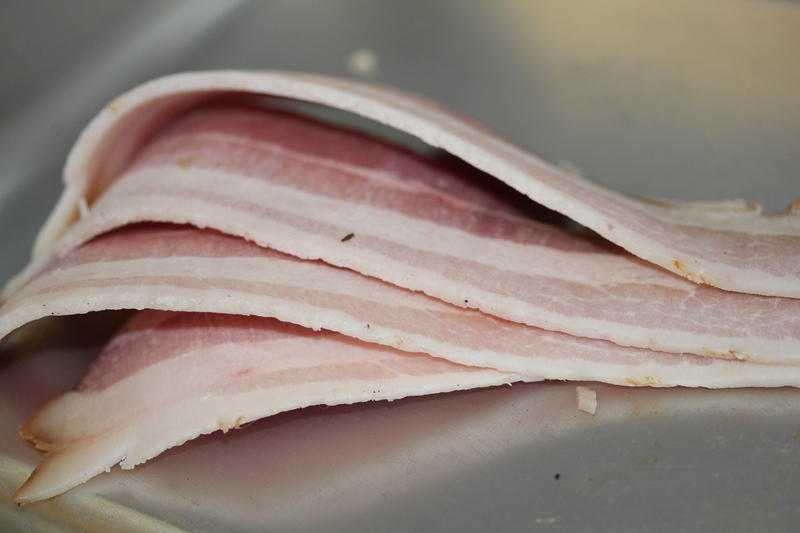 Homemade bacon from organically raised pigs is so different from store-bought bacon. 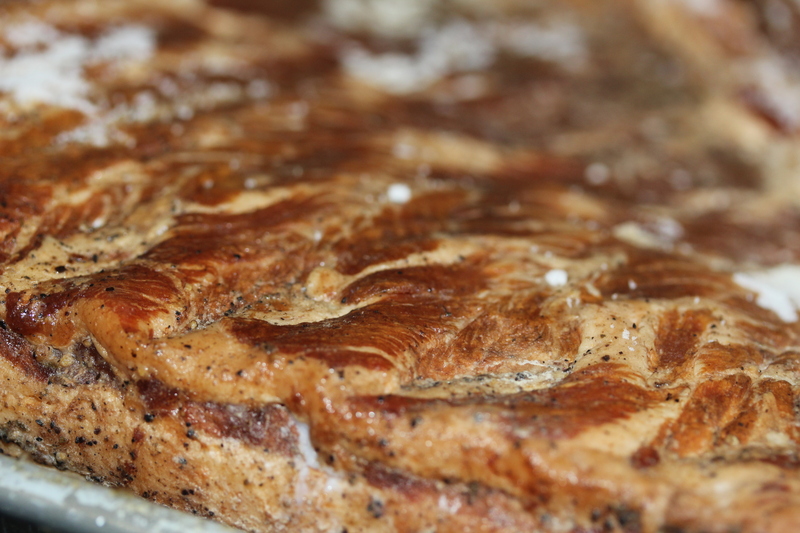 It’s flavor is so concentrated that you really only need to eat a few slices to get your fill. Even the most carnivorous of folks get their fill after a few pieces. 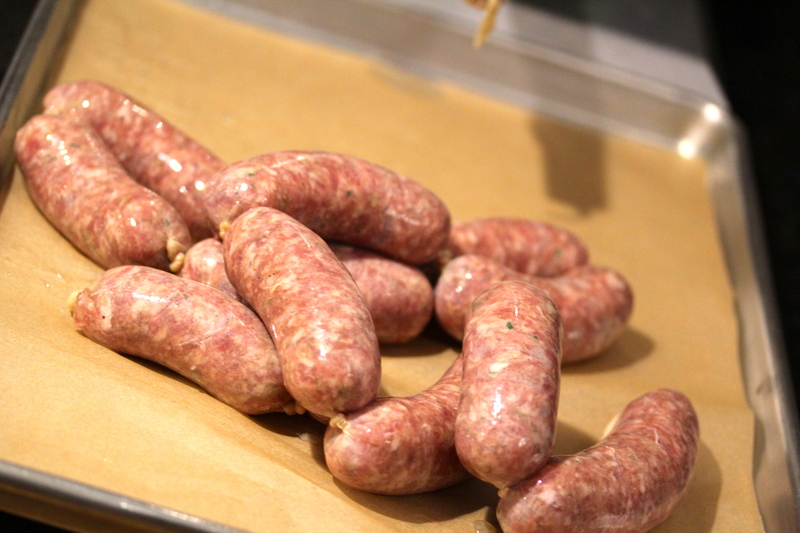 The sausage…it really is the stuff that dreams are made of! Last year we went to a different butcher and for some unknown reason, the ground pork that we got wasn’t the best as it had hard chunks in it…gross sounding, I know. The really unfortunate part was that we didn’t realize until it was too late and we had made 100 lbs of sausage with it and sent it off to our family and friends. 😦 We always taste test the sausage before we stuff it, but didn’t find anything odd in the samples that we tried. 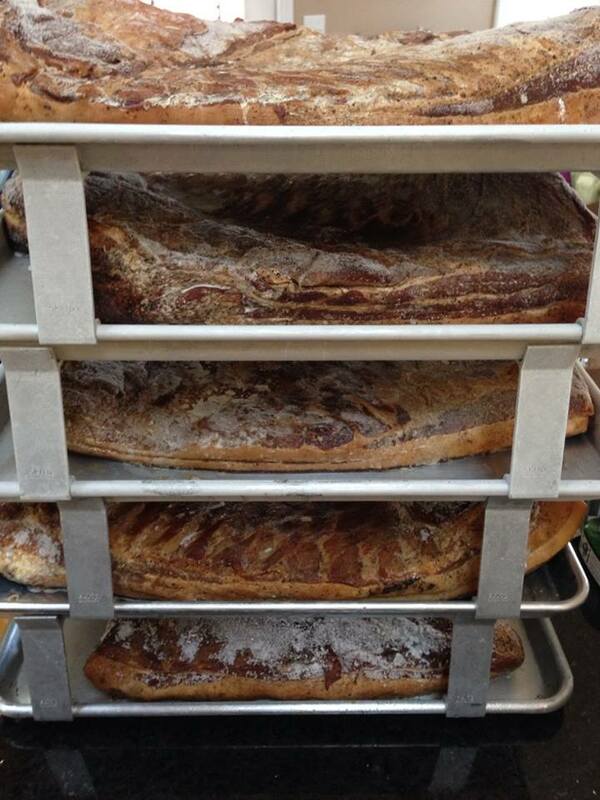 That was last year…this year a different butcher and AMAZING Sausage! We played around with maple syrup in the sausage, but found that it often burned when cooked, as pure sugar will. I was poking around Amazon and found this maple syrup powder and thought we’d give it a whirl. The stuff is amazing and was perfect for our maple breakfast sausage!! We used quite a bit to get the flavor that we were looking for. It turned out so yummy! One word of caution..it is a very fine powder so it will get everywhere if spilled or mixed to fast. We also made an italian sausage, neither sweet nor spicy…just in the middle and oh so yummy with fresh garlic, rosemary, fennel and other spices!! 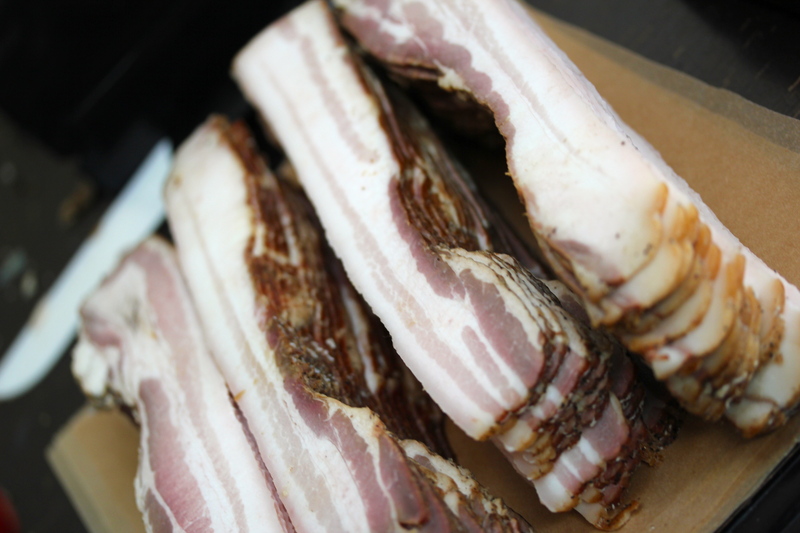 For the past 2 years of sausage and bacon making, we look at each other and say “we are not doing this again next year!” I am not going to lie…it’s a lot to add to our plate, especially this year. But, when we get the feedback from those who eat it and want to order again already for next year…it all seems worth it! There is a really great feeling that happens when feeding those you care about great, wholesome food.